Hays Travel, The Woolshops, Halifax. Manager Kate Greenway with brochures. 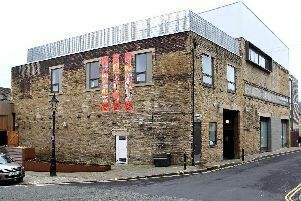 Post-Brexit holiday speculation has done little to distract Calderdale holidaymakers from looking forward to weeks in the European sun, according to West Yorkshire travel agents. Debate around how travel will be affected in the event of a ‘no deal’ Brexit has been rife in recent weeks, with some claiming changes in aerospace regulation could cause complications. But travel experts have agreed that holidaymakers are right to carry on regardless, despite apprehension over national media reports. Bookings to other EU countries including Greece and Portugal also increased, a theme common across West Yorkshire, where Halifax-based Hays Travel have seen an upturn in the number of bookings to Eastern Europe. And it’s not just across Europe that the agents are seeing bookings take-off, with holidays to more far-flung destinations such as New York, the Caribbean and Thailand as popular as ever. Samantha Harvey, managing director of One World Travel in Wakefield, said that despite what she described as ‘scare mongering’ around the future of travel in Europe, holidaymakers should not be concerned. “There is still a huge willingness to travel,” she said, “around 80 per cent of people who have booked with us are going abroad. “But there is a nervousness around it because of what’s been said about what might happen in the future. “We’ve had people come into the shop and seek reassurances over what will happen, so much so that we prepped a two-page document for our staff to refer to, that allows them to give people the facts. “I’ve seen newspapers give advice for people not to travel this Summer, but the factis that nothing will change overnight on March 29. The number of bookings to EU countries has actually increased at One Travel, with Spain still by far the best-selling destination for 2019 and Christmas period bookings increasing by 43 per cent. Holidays to UK destinations have seen a dramatic increase - up 233 per cent in Wakefield over the Christmas period - as the travel agents continue to battle their way through the busiest month of the year.